Marc D. Fine is a Member in the Banking, Financial Services, Hotels & Hospitality, and Manufacturing industry groups, focusing primarily on banking and finance, mergers and acquisitions, tax, real estate, and trusts and estates. He practices out of the Firm’s office in Evansville, Indiana. 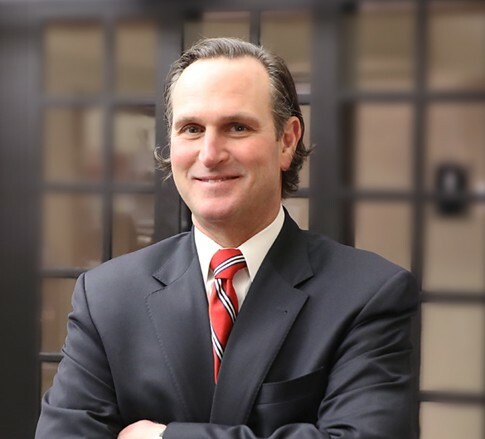 Since joining Jackson Kelly in 2014, Marc's corporate clients look to him for advice on complex business matters, while his individual clients rely on him for trust and probate administration and estate and tax planning. Marc views his work as a puzzle that needs solving and knows that it is up to him to devise a strategy for the best resolution. He finds his work most enjoyable when he can assess a legal issue within a business environment, and use his experience to provide a solution for his clients. Prior to merging with Jackson Kelly, he was the managing partner of a law firm he co-founded in 1987. Marc’s problem-solving skills in business and finance were exercised and strengthened when he was a co-founder of a community bank that is now a part of German American Bank, a 3-billion-dollar financial institution, where he continues his service on its corporate Board of Directors. These experiences also serve as testimonials to his ability to provide clients with the most robust legal representation. When he isn’t in his office, Marc can be found on the golf course with friends, going for a run, or relaxing over a glass of scotch. He is a third-generation season ticket holder for Indiana University football and basketball, following in the footsteps of his father and grandfather. Both his father and grandfather were also practicing lawyers and so his son. He keeps the tradition alive in many ways. Marc is an attribute to the Jackson Kelly team, shown through his determination to provide solutions, loyalty to those in and out of the office, and significant experience and knowledge when it comes to representing businesses.